Welcome to monitors, headphones & monitoring information. Here we will attempt to offer some guidance & advice for beginners who may be confused by the new world of home & studio recording & dance music making. To start with, these are the top-selling monitors & headphones last month at Thomann superstore, one of the largest retailers in Europe - This shortlist gives you some pointers as to what products are popular in this category at today's date. For a decent budget NON-COMMERCIAL system, even up to a system good enuff for mastering a product, a decent stereo hi-fi amp & British or other Bookshelf Speakers, will be just fine.... NO MATTER WHAT YOU ARE TOLD!.... You only need "Studio" speakers if you are running a commercial studio pumpin' out high levels all day & night. The role of speakers in the context of the home & bedroom studio is that of a "nearfield monitor"
A "nearfield monitor" is a small speaker-pair used to check the mix, so as to hear what it'll sound like on typical home-systems. Main studio speakers are much bigger, designed to take large volume, to study fine-detail, to track the band with etc... but the nearfield is what you want to mix on. This doesn't mean speakers sold as 'studio nearfield monitors' are NOT valid in a home or other production setup, but that it's fine to use decent hi-fi speakers which to all effects & purposes DO fullfill the requirements for a nearfield monitor' in it's true sense of the term as much as speakers officialy titled as such. If you stick to British speakers imo you get a flatter sound. Why do I say that? because originally in recording studios (and this goes back to as recently as the 90's) any speaker used as a "nearfield monitor", WAS a hi-fi speaker. 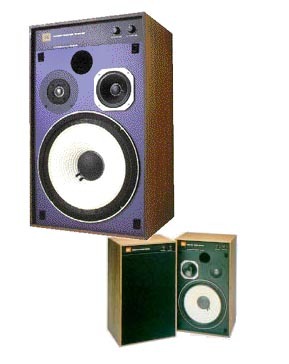 The most famous nearfield of all time, the Yamaha NS10 was a hi-fi speaker. Yes they revamped it with following models which beefed up things, but, fact is the hi-fi Yamaha NS10 mixed more hits than you can shake a stick at. Other neafield which found there way into studios in the past were things like A&R 18's & 28's, B&W, Mordanut-Short, JBL control-1's, JBL 4312, Richard-Allen r8's, the infamous Aurotones or "horrortones" as they became nicknamed. So the whole point of a "nearfield monitor" was to give a home-sound the typical end-user would hear, and thus any decent "hi-fi" speakers will do the job 100%, but it is true that nowadays there are many very affordable "nearfield monitor" speakers on the market, so things have balanced out & you might as well buiy them then spend time seeking out good british hi-fi speakers. But just remember, these more budget-end speakers being sold nowadays branded as "studio nearfield monitors" are nothing more than decent hi-fi speakers with a flat-ish response. If you use passive speakers without amps onboard, you can use a hi-fi amp to drive them, which will be fine. You don't need a "studio amp", unless you are driving large speakers all day. JUST REMEMBER... DO NOT use the hi-fi amp with anything other than a flat eq, and 100% most-definately do not mix stuff with the Bass/loudness switch IN! PASSIVE MONITORS - They do NOT have amps built in to the speaker boxes. These are like regular hi-fi speakers in that they require a stereo amp to drive them. 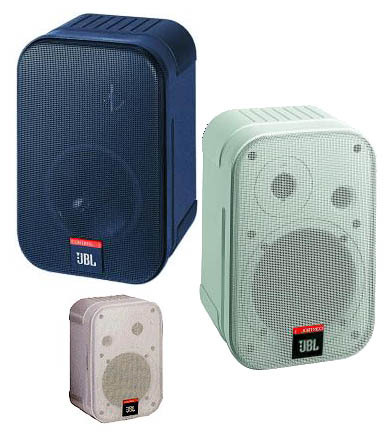 You can use such speakers with any decent hi-fi amp (see rules above) or with a dedicated stereo monitor power-amp, which is a stereo amp running not too much power - If you DO need to choose a power-amp or hi-fi amp to drive passive-monitors, then make sure the amp is rated at about twice the output the speakers can handle. So if the speakers are rated at 100 watts, get a 150-200 watt amp. Use good thick copper braid speaker cable... It does cost alot per meter... but it's worth it... for a cheaper buy, it's perfect to use house mains cable, not the solid hi-amp stuff, (it sounds good, but it's murder to route)...Try starting at cable designed for household lighting, like about 15 amp... It's got a copper core, and it's braided... and it's WAY cheaper than copper 'Speaker-Cable'... but just as good. Wire the LEFT POSITIVE AMP.......to the LEFT POSITIVE SPEAKER TERMINAL. Wire the LEFT NEGATIVE AMP.......to the LEFT NEGATIVE SPEAKER TERMINAL. Wire the RIGHT POSITIVE AMP.......to the RIGHT POSITIVE SPEAKER TERMINAL. Wire the RIGHT NEGATIVE AMP.......to the RIGHT NEGATIVE SPEAKER TERMINAL. There's no point using sodding great speakers loud enuff to play at Glastonbury, cos by the time you get 'em up to a level where they are moving air properly, you won't be able to stand the volume... and, there will be so much crap bouncing around the room, that it will be impossible to hear what is going on properly. I've got a pair of massive Richard Allen speakers with paper drivers that shake the flippin' windows out....(In fact I was once thrown out of a Housing Co-op, cos one of the dominant males in the co-op was comin' round to complain all the time.....and he lived 70 yards down the road !!)...... But to mix I use little bookshelf speakers. The big speakers are cool for blastin' the stuff out, but I ALWAYS mix on the little pair! I use a little pair of Mordaunt-Short things. 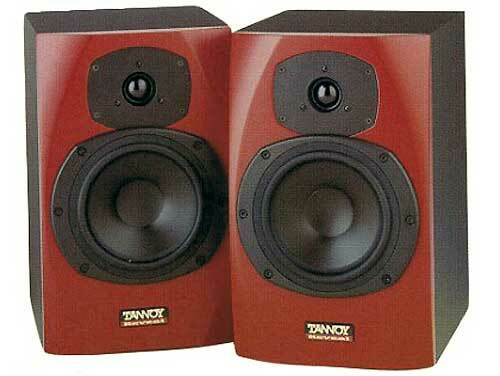 They are about 11x6x6 inches, with a tweeter and bass unit, they are just fine, & they were only £60 secondhand!.... (yes sixty pounds !!).... I'm running about 20,000 worth of gear through those.... and they are perfect! Here's some stuff you may not have thought about... but it's MORE important than spending stacks on "studio" speakers......Even if you DO buy some £500 speakers....It will still sound like crap unless you follow these & the above rules. IMPORTANT - The thing is, no-one will be listening to your stuff on the same system, so take your mixes round to a few mates yards, and check out how it sounds... In fact, carry it everywhere, and play it at peoples house, bars, on Boogie-boxes, car-stereos, & on ipods etc etc. If listening on a friends hi-fi system, ake sure you take OFF the "Loudness"/bass-boost switch, and set the Eq flat on their system. After a while, you will start to know how it's going to sound when you play it around, and you will start to remember how the room you work in makes it sound, and then you will start to get it right.... EG: If it always sounds too trebley on other systems with the Eq dead flat, then you know that YOU are adding too much Treble at home... This is really important, and will do more for you than buying some twatting great "monitor speakers". These have soft foam cups around the speaker units that fit over your ears... 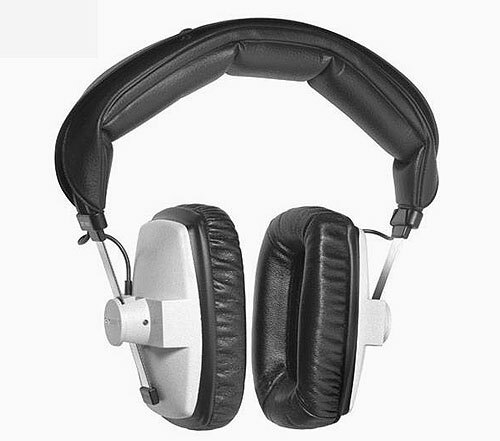 These headphones are best to use if you are recording in a situation where you do not want "Spillage" getting onto tape with the recording... The cups that surround the ears stop the sound of the backing music spilling out and being picked up by the microphone. These usually have a simple foam "pad" glued to the plastic speaker housing... These are good if you need to hear the sound coming over the headphones, but also want to hear sound coming from outside... A good time to use these is say when you are recording a loud electric guitar through a wound-up-full Marshall stack... and the guitarist wants to hear the vocal & drums, but also wants to hear some of the room sound of the stack....They don't work so good with vocal recordings, cos usually you can hear the top-end of the backing track spilling out & being picked up by the mic'. IMPORTANT...: DONT MIX WITH HEADPHONES!... They are OK for checking detail, or the stereo image of a sound.....But please.... Just DON'T! or nominate any unlisted monitors or headphones here! For listed monitors & headphones, please leave your comments or review on the actual product item page - You can browse all listed monitors & headphones in the GEAR section - if you have an actual question, try asking on the forums. er...can anyone give some makes of British speakers? are they available in US? I used to be mixing through my headphones, very nice ones (Grado Labs sr80) and now and then swiching to an old ghettoblaster (jvc) just for refrance... I tried a couple of times burning songs on cd and listning on some other systems, but it allways sounded crap. I just bought a new system. (altec lansing, some model) It now has too much bass, (before it had too little) But I'm able to balance by listning through both. I agree that you don't need to have a super pair of monitors to make it sound good, but It will help if you have 2-3 completly diffrent speakers to use. Just to get an objective picture. Why not mix with headphones? Why do you advise against mixing with headphones? You did not give any specific reason. On the contrary, a friend of mine mixes and does mastering on his headphone. He tells me that using a good pair of headphones allows him to hear detail and image that some speakers fail to present. As I plan on buying a monitoring system, I need to know which area to spent on. A good pair of "monitor speakers" and cheap open headphones? Or a good pair of closed studio headphones and budget speakers? I have a pair of Alesis Monitor Ones......What do you think? are they decent for mixing down Drum and Bass? Hi....I have a sony mdr v700 headphone in workink condition only thing is its rotatin cover cap is broken....I mean on the cap its written L on left side & R on Right, The same cap i lookin for....Pl let know if u can arrange it..
best no-nonsense info i have found on line for a recording novice such as myself. given me a good idea of money needed to be spent! I wand to make my dynaudio M3P to Active..
You have the Active kit, and price? 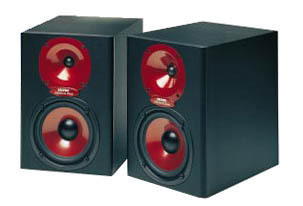 Whats the diffrence between Active & Passive monitor speakers? can you send me plan to built a pair of 15" bass reflex? what is the difference between left & right speaker of a music system? can we replace left with right? richard allen paper cone drivers 3 way speaker made by permeko of leicester excellent speakers rival any kef rogers and mission etc link them to a british tube amp and you are in hi fi heaven .ps please note richard allen speaker company will still repair any speaker cones etc and they repair any makeof drivers not just there own models . now that carnt be bad . 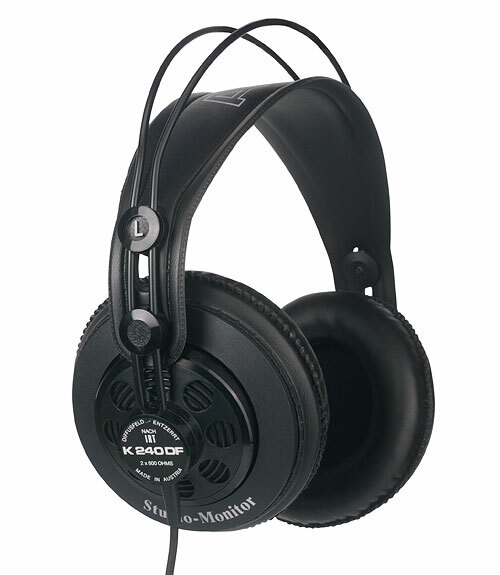 Here's a selection of classic studio & hi-fi monitors & headphones for dance music creation!